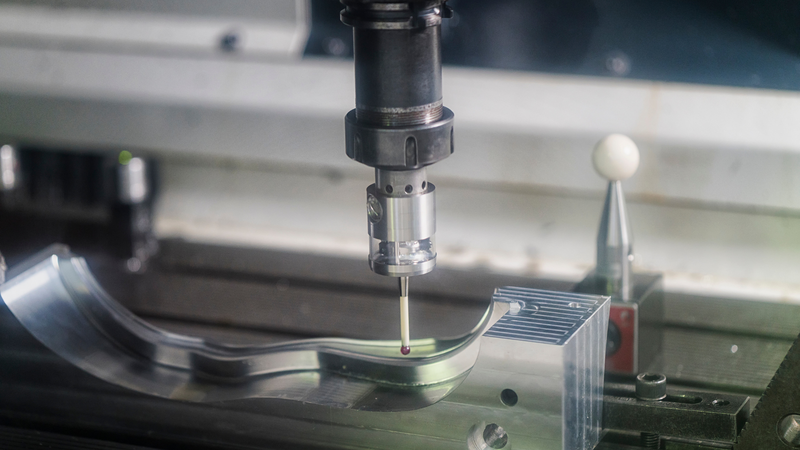 While Connecticut may not be known as a hotbed of manufacturing, the truth is that the state is home to some of the largest players in the industry, including Kaman, Praxair, Sikorsky, Gerber Scientific and many others. One of those companies — Pratt & Whitney — recently unveiled a groundbreaking family of jet engines. Noah Webster, the man behind the Webster dictionaries and a former Connecticut resident himself, defined the area as frugal and industries. Perhaps it's not surprising, then, that these characteristics also epitomize the production of Pratt & Whitney’s new Pure Power family of jet engines. This innovative bit of engineering cost P&W more than $10 billion and took over 30 years to develop. Fortunately, this commitment is about to pay off. 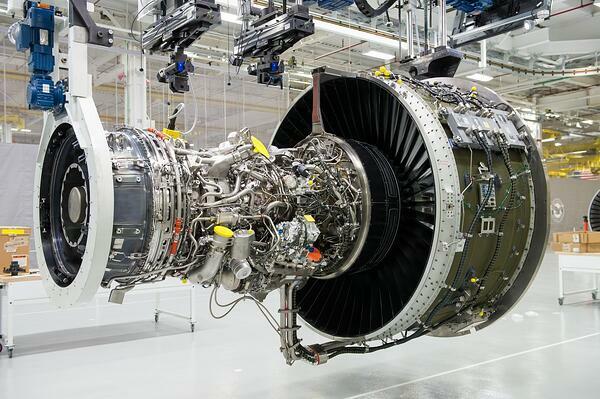 The PurePower PW1000G engine is just what the perpetually strapped airline industry ordered. It runs cleaner, leaner, and quieter than anything that's come before. To begin with, its fuel burn is 16 percent less than any other engine on the market, and with jet fuel currently around $3 a gallon, the savings equal almost $1.2 million per aircraft, per year. It also uses a combustor design that delivers emissions that are 50% lower than CAEP/6 emission standards, which is the toughest standard in the industry. And, if you’re like me and live under the flight paths of major airports, then the 75% reduction in ground noise will certainly be a gift. The PurePower is based on a geared turbofan design, which isn't a new concept. Until now, though, no one has been able to build one large enough to accommodate the high thrust requirements of the commercial airline industry. And with the legendary reliability of P&W engines, it’s also not plagued by dependability issues common among many earlier geared turbofan designs. P&W’s new design can provide up to 40,000 pounds of thrust, so far. This allows PurePower engines to encompass the entire narrow-body aircraft market. The assured success of this engine will certainly see its expansion to the wide body market. As the design studies for this application already exist, it’s just a matter of time before the air-framers pull the trigger. Of course, many of the technical details are proprietary. In fact, the secrecy surrounding the engine is so tight you’d expect to see the cigarette smoking man from the X-Files standing in the background at the press conference. Even my contacts in East Hartford are tight-lipped as a senator in front of a grand jury. However, there is still enough good information to impress the most discerning gearhead. For the uninitiated, a geared turbo fan is, as the name implies, a turbofan engine with a gear drive. In the case of the PurePower, the drive allows the main fan to rotate 30 percent slower than conventional turbofans. Until now, the gear drive was the reason the design never made it to a larger scale. This obstacle was resolved by P&W’s development of a highly reliable, lightweight gearbox said to have a cutting-edge lubrication system -- the major reason for its reliability and performance. However, the gear drive is just one of the tricks P&W has up its sleeve. The larger, lower speed main fan means the low-pressure compressor (LPC) runs at higher speeds, requiring fewer stages. Turbofans typically require six or seven LPC stages; the PurePower uses only three. That’s a reduction of 1,500 blades. The faster rotation speed also means the air entering the high-pressure compressor (HPC) is moving under even greater pressure. The HPC’s eight stages are also far fewer than typically found in a standard turbofan. For the HPC, innovation rules the day. The system uses fewer stages, consisting of integrally bladed rotors or IBRs rather than separate blades and compressor discs. Also known as blisks, this is a one-piece rotor with disk and blades integrated into a single structure. The combustor also uses a floatwall system within the annular combustion chamber. This technology has already been deployed in P&W engines used in the F-22 Raptor: it consists of a series of thermally isolated panels composed of oxidation-resistant, high-cobalt material. There are even bigger benefits on the turbine side. The low-pressure turbine (LPT) requires only three stages as opposed to the nine that earlier P&W designs required. That equals 3,500 fewer fan blades. Speaking of fan blades, there’s another secret worthy of Mulder & Scully: P&W uses a new hybrid metallic hollow fan blade structure developed behind the iron door in East Hartford. Predictably, the manufacturing methods and composition remain a secret. Hollow fan blades are a P&W signature feature — the innovative design reduces the weight of the blade while maintaining the same strength as much heavier units. All that’s known about P&W’s propriety turbine blades is that they are composed of super alloys, with thermal barrier coatings and an advanced cooling feature that was developed for the F-35 Lightning. These features allow the PurePower’s HPT to run hotter and faster than anything else ever developed. When I asked a friend how hot, all I could get was a shrug and the response “really hot.” Ok, so I’ll find out when it’s obsolete. The PurePower HPT uses blades developed for the P&W F135 engine deployed in the F-35. This engine holds the world record for the hottest combustor and turbine ever run. The low NOx emissions of this engine are part and parcel of the HPT and combustor; it’s also responsible for the 75 percent reduction in noise. The combustor, named the TalonX, was designed in conjunction with NASA and is based on the space agency's rich-quench-lean combustion cycle. In this design, the emissions are controlled by the quench zone of the first stage stator prior to the first stage HPT blades. The overriding advantage to all of these innovations is there are a lot less moving parts. Fewer parts mean less maintenance and more hours in the air. For the airline industry, the ROI is a no-brainer. Another thing to consider is that this is a brand new engine; even with the inherent skittishness of the airline industry, P&W already has orders for 7,000 units coming from 70+ customers in over 30 countries. Pratt & Whitney’s foresight, commitment, and perseverance symbolize the characteristics that built American industry, and will certainly carry P&W back into preeminence in the aerospace industry. To stay in the loop on what's happening in industry, subscribe to our newsletter.